Hi guys! How's it going? I was going to say today isn't too shabby, but I had a bit off a truffle at work and it ruined a good chunk of my day. The worst part is it will carry over to tomorrow so... that's something to look forward to, eh? But all the negativity aside, I am still in a good mood because I have made a great discovery. I'd like to officially announce that besides a polish addict, I shall now be known as a planner nerd. Yes, ladies I have stepped into the world of planners and scrapbooking! I'm really excited for my Kate Spade planner to come in, along with the zillion other things I picked up. If anyone of you shares this hobby interest with me, please let me know. I'd love to pick up some tips and tricks. Let's now move on to today's polish filled post! Cherise from My True Love Creations will be releasing her Fall Collection this Friday Oct 24th! I cannot even begin to express my love for this set so I'll let these beauties speak for themselves. MTL Creations will be releasing her Fall collection on Friday October 24th. Such beautiful shades! The Fall Collection is still available for pre-order at the moment. The complete set retails for $24.56 in full size bottles. You can also purchase each polish individual in both full and mini sizes. 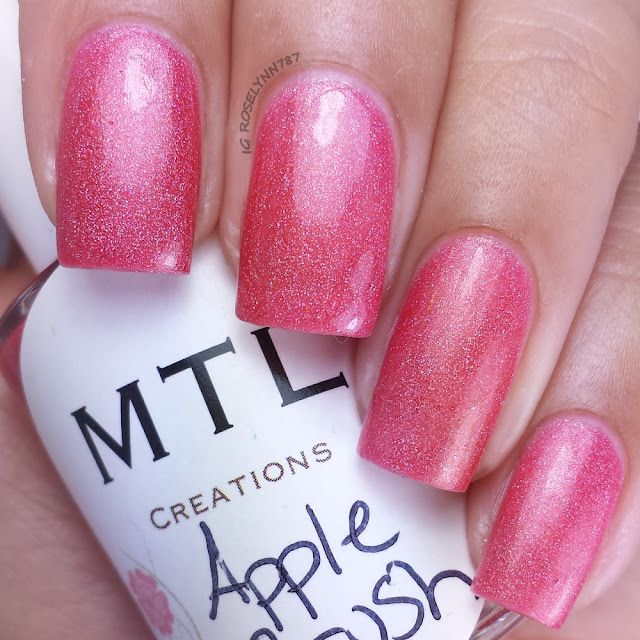 Apple Crush is a berry red shimmer polish laced with holographic micro glitters. 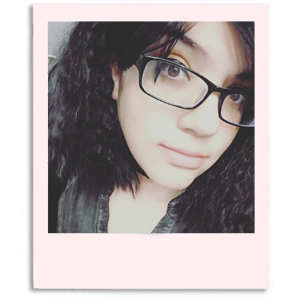 The other photo I saw of this particular shade had a bit of a orange tinge as opposed to mine that border towards pink. Perhaps it's a reflection of my skintone, not too sure. Regardless, I really love of looks on me. Even better, the formula and consistency are absolutely excellent. I was thinking that perhaps it would require a few layers and still not end up being completely opaque. I was totally wrong! 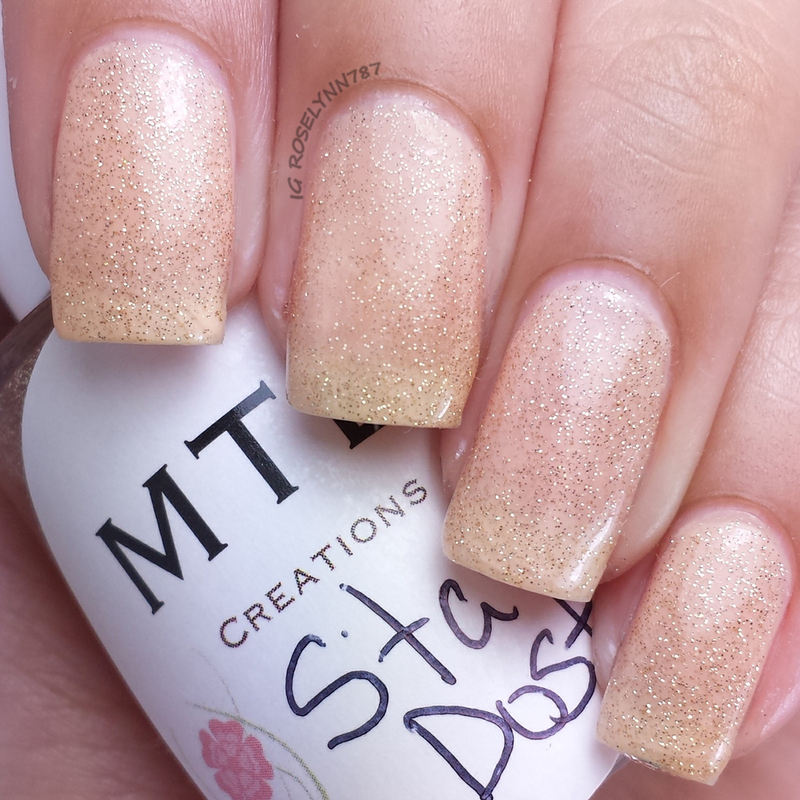 I swatched this using only two thin coats and I got full opacity almost immediately. Once in a Blue Moon is a blue shimmer polish laced with holographic micro glitters. Again this particular shade looked a little bit darker on the other photos I saw. I thought I would mention because I know some ladies like to know how polishes reflect on my skin tone. You can really see the holo in this polish, it's absolutely gorgeous. I used two thin coats and sealed it off with a glossy topcoat. Very pretty and shiny. My pick for must-have in this collection! Also I'd like to mention there was no staining to my nails or cuticles even with the vibrancy of this shade. Foresta Lumina is a forest green shimmer polish laced with holographic micro glitters. This feels like a perfect shade for falling leaves, right? Some reason find this shade to be very mesmerizing to me. It's like green but flirting with teal and blue. I used two thin coats and sealed it with a glossy topmost. Formula and consistency were excellent just as the others. I have no complaints about this polish whatsoever. 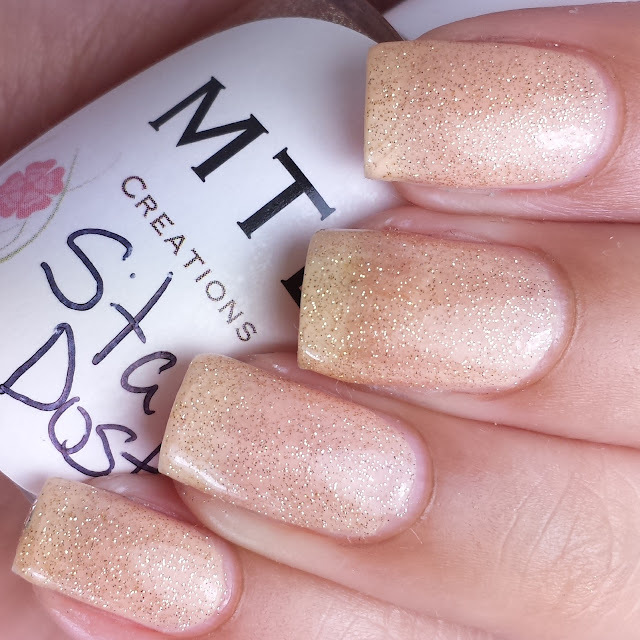 Star Dust is a clear base glitter topper filled with gold holographic micro glitters. Shown here is two thin coats over Orly First Kiss. This polish looks really great over a lot of different base colors. I kept thinking about it over a dark burgundy shade, what do you think? The formula is excellent, there was no clumping and ample glitter with each stroke. The consistency was very ideal as it was not too thick nor too thin. In addition to this collections release, MTL Creations has also released their brand new cuticle oils. They are available in a variety of scents such as lavender, kiwi kisses, orange, and vanilla ice cream. There is also an all natural unscented, which is the one I received to do this review. I do use a variety of cuticle on a daily basis so I cannot comment too much on the effects as I was only using this for less than two weeks. 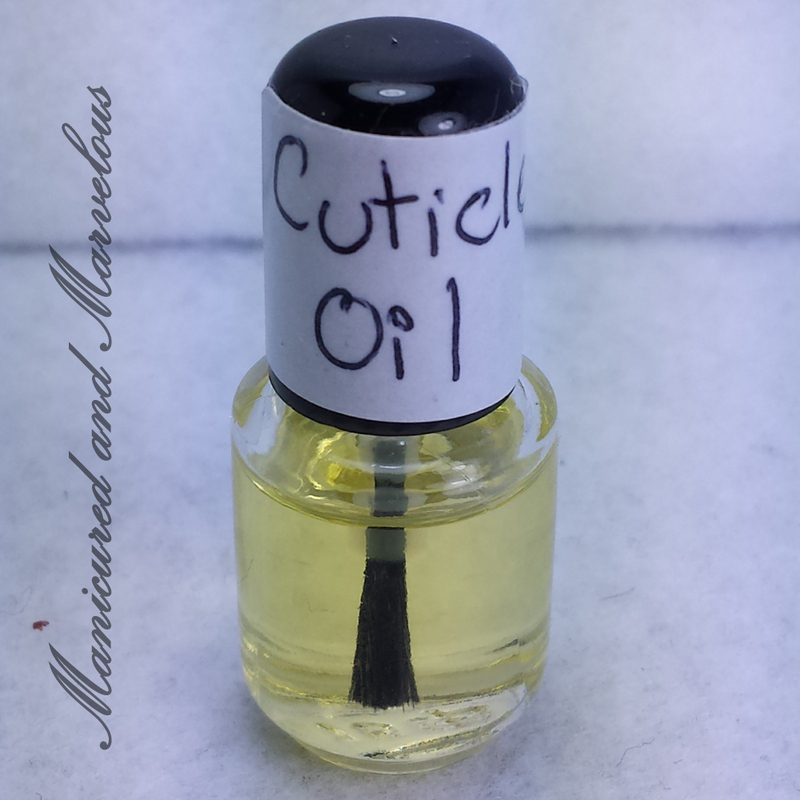 The cuticle oil, as I mentioned, was unscented/natural scent and personally I did not care for it that much. It smelled a little bit too much like oil, I prefer just a little bit less scented in that regard. The oil itself was a bit thicker than I thought it would be, however, this ended up being far from a bad thing. I only needed a teeny tiny drop on each cuticle and it rubbed right in very smoothly. I was actually surprised by how absorbent it was and left my skin feeling. Definitely worth a shot if you're in the market for something different to try. Overall the fall collection by MTL Creations is fantastic in every regard. The colors for this collection really stood out to me, they reminded me of maple leaves and just trees in general for the season. I feel like the shades really hit the nail on the head. One of the most fun things that I do as a blogger is working with these makers and seeing them grow. Cherise, maker behind MTL Creations, has hit a new plateau for me personally with this collection. Her formulas are so on point it's incredible, for someone who is relatively still new at this business this is really impressive to me. I'm really excited to be part of her journey and I can't wait to see what else she comes up with in the future. As I mentioned before, this collection is available for preorder now and will be officially released Friday, October 24. Be sure to follow My True Love Polish for stock info. 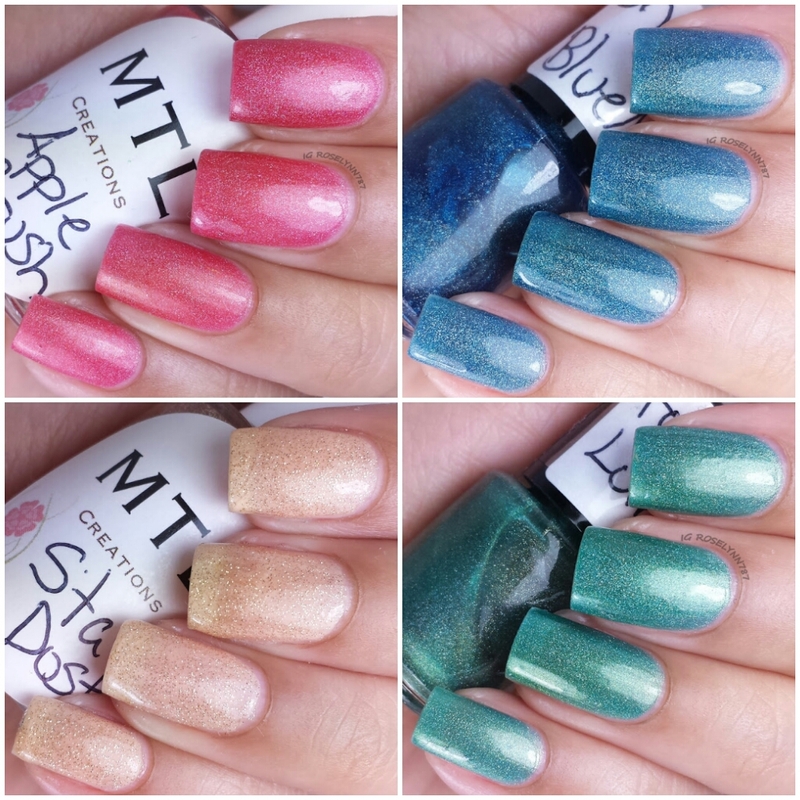 and new polishes releases!